Prior to Actura, Kurt worked in CBA for 8.5 years in various commercial roles where he gradually developed an enormous passion for technology innovation and product management. That led him to join Cuscal and help successfully implement Android Pay and Apple Pay digital wallet solutions for 30 to 40 domestic banks and credit unions across Australia. After the successful launch of these two products, Kurt moved onto an exciting new challenge – the development of Actura’s FlipRobot solution. 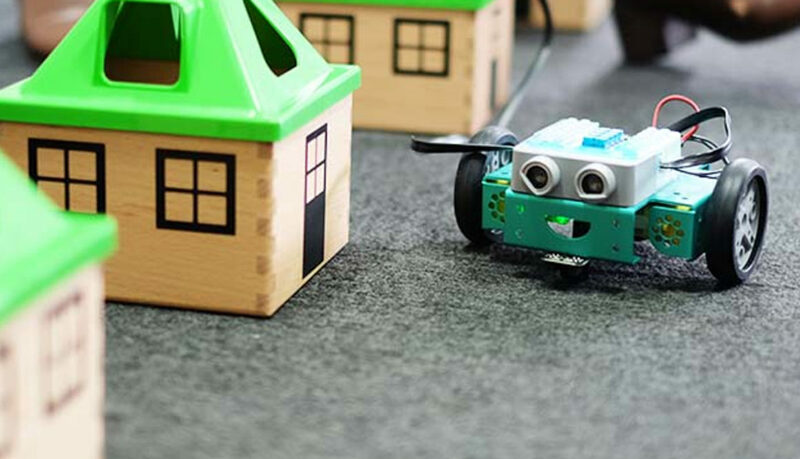 Kurt is determined to make a difference in the STEAM education industry by creating accessible and affordable educational robotic learning solutions with a solid curriculum and teaching implementation support. 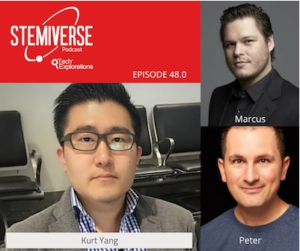 Kurt was recently interviewed by STEMIVERSE, a popular local STEAM educational podcast in Australia. Check out his podcast interview through the link below and listen to him discussing educational technology market trends in general as well as our unique Actura STEAM solutions. Actura developed FlipRobot to be a comprehensive robotic STEAM learning solution to make robotic and coding learning accessible to all students. Part of this comprehensive solution was the ability to empower teachers to be confident in teaching the FlipRobot curriculum through our 2-day Professional Development program. The first day of the course was designed to impart technical knowledge of the FlipRobot solution. This involved learning about the coding environments available through FlipRobot and gaining coding knowledge through activities designed to be as engaging as the ones the teachers would themselves utilise in the classroom. Even teachers with no prior coding experience could be involved by learning not only from the trainer but from the other teachers to promote a flipped learning environment. Building on that theme of collaboration the second day of the course looked at how to implement the solution inside the classroom. This is done by each participant building their own lesson plan and then sharing with the other participants for feedback and improvements. This means teachers who attend our professional development course not only know the physical robot but also have ideas on how to start teaching it. The next step for Actura was to use this course to reach as many teachers as possible, particularly those who wanted to bring robotics and coding to their schools but may not have time for a two-day course or could not get to one of our sessions. To that end Actura has recently published a series of e-Learning modules which can be accessed anywhere with an internet connection. These e-Learning modules allow teachers, in their own time, to participate in the same activities as the first day of the face-to-face PD to build their technical knowledge and coding competencies. Actura then runs a 1-day face-to-face course to bring teachers together to share ideas on the implementation of the course in their own schools. By implementing this new PD structure, we can provide support for any schools looking to implement a robotics program and continue our goal of bringing robotic STEAM learning to all students. In the coming months Actura will be holding training sessions with Channel Partners so this resource can be used to empower more teachers to embrace robotic STEAM learning through FlipRobot. If you are not sure on when a training session has been booked for you, please contact you Actura account manager who will be able to provide details or set up a training session. Actura has made some exciting changes to our FlipCode environment which will further improve the computational thinking skills students learn through our FlipRobot solution. These are the additions of the “Set Up” and “Loop” functions. 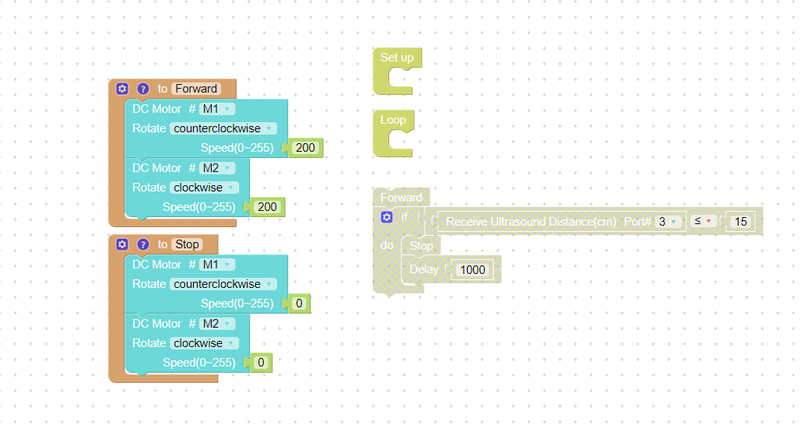 Actura has included these two blocks to create a better connection between the Blockly coding used for FlipCode and Arduino Script Based coding students would eventually progress to. Both Set Up and Loop commands are used in Arduino script coding as the basis for any new piece of programming so introducing students to these principles early will allow an easier transition when they are ready to progress to more senior level coding and robotics. These additions mean that now when you first load FlipCode you will see the Set Up and Loop blocks already on the coding panel as shown in the image below. These blocks are now required to complete any program in FlipCode. All that needs to be done is to connect either Set Up or Loop to the outside of a constructed program and then it will be ready for use. It is easy to tell if it is ready because if Set Up or Loop are not connected the program will be greyed out but when attached they will be coloured in as shown below. The difference between Set Up and Loop is how you want your program to run. If you want the program to run only once than you can use the Set Up block and if you want the program to run repeatedly then you can use the Loop function. You can have programs in both Set Up and Loop functions as shown below. What will happen is the program in Set Up will run first followed by the program in Loop. This is the same as how Arduino script programs run when using both Set Up and Loop functionality. You don’t need to have programs in both so long as one of them is being used. If you have any further questions about this change to FlipCode, please, don’t hesitate to contact your Actura account representative who will be able to assist. We had our own FlipRobot stand to showcase our FlipRobot products and solution to many WA catholic schools within CEWA network. We also discussed collaboration opportunities with CEWA management executives. Our FlipRobot staff talked to each of the participating school representatives in turn in a speed dating session. Each session lasted approximately 10 minutes. We talked to several boarding school reps about local and international boarding schools’ STEAM needs, trying to find out how our FlipRobot solution would best fit their needs. Actura was invited to participate at this event as one of the upcoming edtech startup businesses that is on NSW DoE’s radar to showcase our FlipRobot solution to a large number of NSW DoE teams (especially T4L and STEMShare teams since they are the ones that drive a lot of innovative STEM initiatives within DoE). When walking in a crowded place, humans typically aren’t thinking about how we avoid bumping into one another. We are built to use a gamut of complex skill sets required to execute these types of seemingly simple motions. 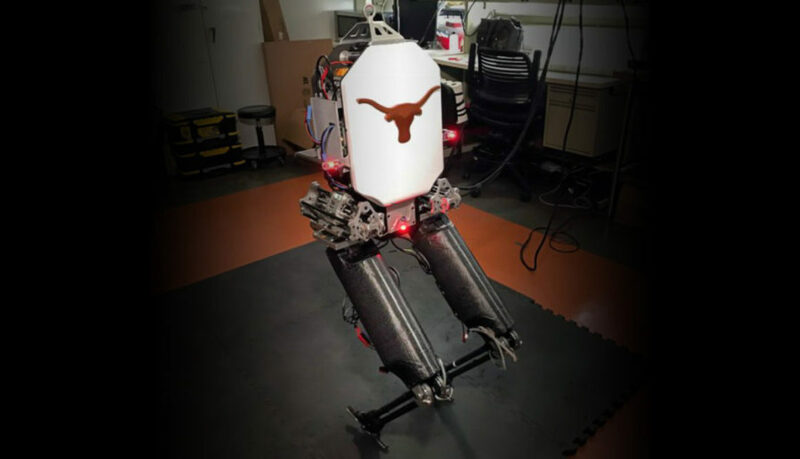 Now, thanks to researchers in the Cockrell School of Engineering at The University of Texas at Austin, robots may soon be able to experience similar functionality. Luis Sentis, associate professor in the Department of Aerospace Engineering and Engineering Mechanics, and his team in the Human Centered Robotics Laboratory have successfully demonstrated a novel approach to human-like balance in a biped robot. Their approach has implications for robots that are used in everything from emergency response to defence to entertainment. The team will present their work this week at the 2018 International Conference on Intelligent Robots and Systems (IROS2018), the flagship conference in the field of robotics. By translating a key human physical dynamic skill — maintaining whole-body balance — into a mathematical equation, the team was able to use the numerical formula to program their robot Mercury, which was built and tested over the course of six years. This is just an example of where the work with our new STEAM Ability Topic 2 extension kits can lead to. We are pleased to introduce you to the newest member of the Actura team, Monique Caldwell. Monique will be joining our sales team looking after channel partners and schools in Victoria and South Australia. 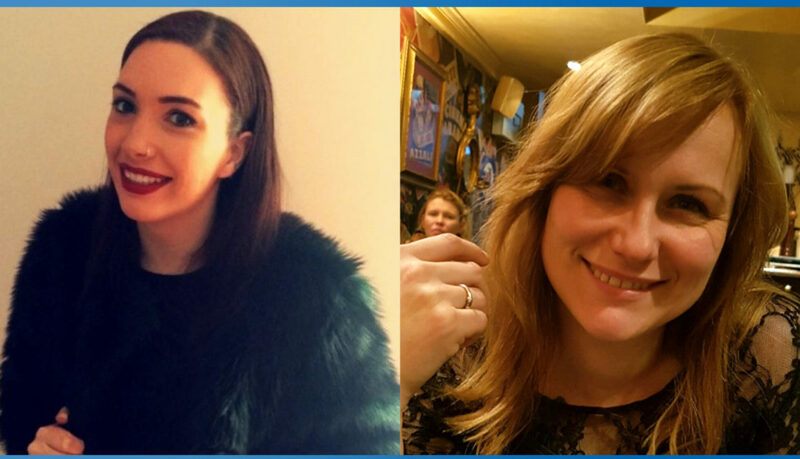 Monique comes from a teaching background and has held several account management roles before joining the Actura team. Monique is a keen trivia player, competing in a team every Tuesday night so feel free to test her knowledge at some stage. We are pleased to introduce you to the latest member of the Marketing Communications team, Anja Bizjak Johnson. Anja’s background is a mixture of education, marketing, the arts and technology. She has held different marketing roles in the corporate as well as start-up worlds before joining the Actura team. She is a keen theatre-goer and rarely says no to an invitation to a good concert or a bush walk. The CASE Robotic Curriculum is a University of California (UC) approved College Preparatory course. UC approval demonstrates the curriculum is of high academic standards, to prepare students for university-level studies. Educators are assured that through independent evaluation the CASE Robotic Curriculum delivers content to rigorous internationally-recognized standards. The CASE Robotic Curriculum offers three different course options for students to get involved in robotics utilizing the FlipRobot Learning Solution. 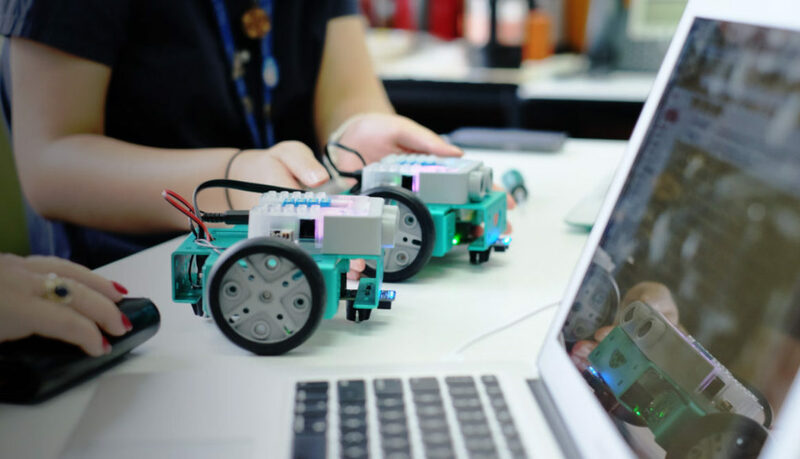 These courses introduce students to robotics by providing real-world scenarios that require critical thinking and design thinking skills to solve real-world problems. UC approval ensures quality and credibility within the structure and content of the CASE Robotic Curriculum. Educators and students can be assured that by following the UC approved CASE Robotic Curriculum, students will develop the skills and knowledge, which will be recognized in the academic and professional world.